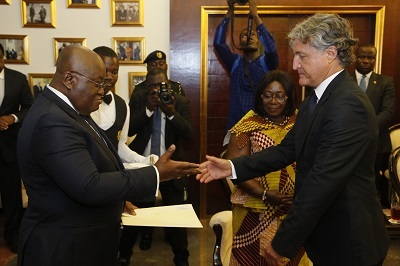 President Akufo-Addo receiving the letters of credence from Mr Vesselin Blaggoev Delchev (right), Bulgarian Ambassador to Ghana at the Jubilee House in Accra. 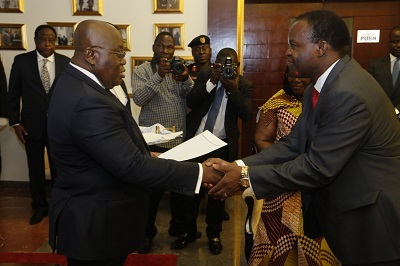 President Nana Addo Dankwa Akufo-Addo yesterday received the credential letters of four envoys who are in the country to represent their respective governments. They are Meshal Hamdan Al-Rogi from the Kingdom of Saudi Arabia, Jean Claude Galea Malia from Malta, Vesselin Blagoev Delchev from Bulgaria, and Emmanuel Mpfayokurera from Burundi. 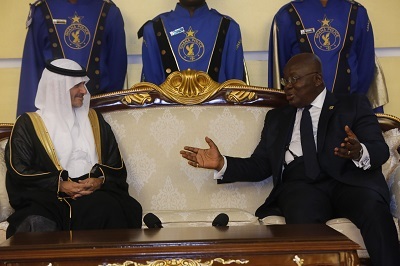 President Akufo-Addo interacting with Mr Meshal Hamdan Al-Rogi (left), Saudi Arabian Ambassador to Ghana at the Jubilee House in Accra. President Akufo-Addo, in separate meetings with the envoys, promised to strengthen the cordial relationship between Ghana and their respective countries and explore new opportunities to further strengthen the relations. 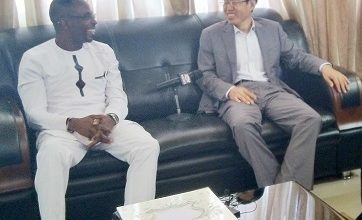 He said the relations between Ghana and some of the countries could be traced back to the era of Ghana’s first President, Dr Kwame Nkrumah, and stressed the need to strengthen the relations further to the benefit of their people. 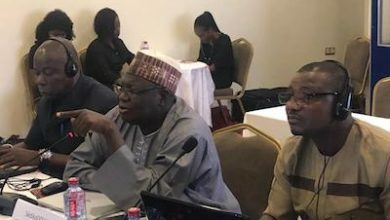 He noted that Ghana and their respective countries shared common values which were the foundation of their relations and indicated that Ghana would strive to safeguard its relationship with their countries. President Akufo-Addo receiving the letters of credence from Mr Emmanuel Mpfayokurera (right), Burundian Ambassador to Ghana at the Jubilee House in Accra. President Akufo-Addo urged the envoys to use their presence in the country to create opportunities to further deepen the relations and expressed the government’s commitments to create the right conditions for them to have a successful tour of duty. 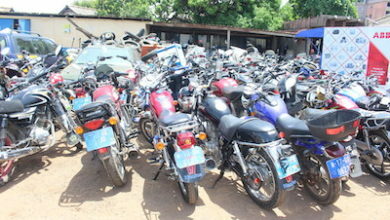 He said the Foreign Affairs Minister, the Chief of Staff at the Presidency and officials at the Presidency and the ministry would be at their disposal and entreated them not to hesitate to fall on them for any assistance. The President said his doors would be always opened to them to address any concerns that they might have and congratulated them on their appointments. The envoys thanked the President for the warm reception, extended fraternal greetings from the heads of states of their countries, and promised to do their part to help deepen the relations between Ghana and their respective countries. 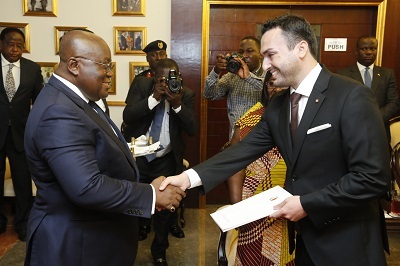 They commended the President for his efforts and leadership to help improve the conditions of Ghana and his commitment to improving the ties between Ghana and their countries.